2 People Killed After Plane Crashes Into Atlantic Ocean Off Coast Of St. Lucie Inlet | Schuler, Halvorson, Weisser, Zoeller & Overbeck P.A. 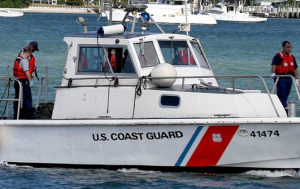 The two occupants of a small, private plane were killed after they crashed into the Atlantic Ocean roughly 20 miles east off the coast of the Port St. Lucie Inlet, according to a U.S. Coast Guard spokesman. “The Miami Air Traffic Control Center notified the U.S. Coast Guard of a suspected downed aircraft. The pilot stated to the ARTCC he was changing course for weather avoidance and shortly after, they lost communication,” the U.S. Coast Guard said in a press release. The St. Lucie County Marine Unit, Martin County Sheriff’s Office and Florida Wildlife Conservation Commission were among the agencies that assisted the U.S. Coast Guard in their search. They found the victims of the crash among the field of debris floating in the ocean. The identities of the crash victims are yet to be released. No further information is available at the time of this report.